natural healing process is out of balance; creating too much inflammation or an immune response that is too prolonged. Chronic inflammation plays a critical role in most chronic illness, as it increases inflammatory toxins, interrupts normal immune function, depletes nutrients, and creates tissue damage. The Functional Medicine process looks closely at all the body systems involved in the process of healing, detoxification, and immune response. Treatments are designed to reduce inflammation, remove toxins, block pain signals, and provide nutrients for proper healing of body tissues. 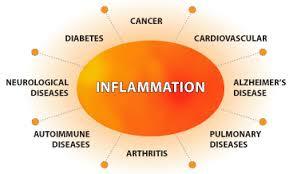 The anti-inflammatory Lifestyle and Anti-inflammatory nutrition are keystones of treatment. ​Pain will naturally diminish as the body returns to balance. No two people have the same version of an illness or health challenge. Individual treatment plans are designed for each of our unique clients. 50+ inflammation pathways, and has anti cancer activities documented in hundreds of peer reviewed research publications from around the world. Anti Inflammatory Nutrition - Helps the body to detoxify, supports balanced immune response, reducing inflammation and pain. ﻿Cold Laser﻿ - A non-invasive medical device that provides super pulsed laser, infrared, visible red light and magnetic field to improve healing time, reduce pain, and increase circulation. ﻿Ondamed﻿ - is a non invasive biofeedback device that offers analysis and treatment of emotional and physical symptoms. Based on principles of biophysics , a highly focused pulsed electromagnetic field penetrates the targeted region of the body to painlessly stimulate tissues and "jump start" cellular activities. ﻿﻿Neural and Electroblock﻿﻿ - treat "interference fields" (irritating energy blockages) to reduce chronic pain and illness of both physical and emotional origin. ﻿IV Vitamin C﻿ - a powerful, non toxic nutritional tool. Vitamin C is used for its anti - viral, anti-bacterial, and anti-cancer properties. It enhances immune response, reduces inflammation and is effective therapy in the treatment of many illnesses. ﻿Hydrogen Peroxide / Ultra Violet﻿ Light therapy - speeds healing from bacterial and viral infections and boosts immune system function. ﻿Heart Math Biofeedback﻿ reduces perception of pain and increases feelings of relaxation and wellbeing. 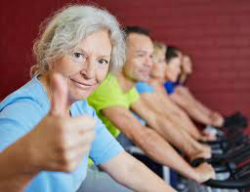 Osteoarthritis, "OA", is the most common disabling disease in middle-aged and older persons and accounts for a huge loss of productivity and quality of life. Until recently, OA was thought to be the result of wear and tear on the joints, and pain medication and surgery have been the principal treatment options. reducing need for joint replacement. Autologous Conditioned Serum "ACS" is a breakthrough in OA treatment. New research has identified the link between inflammation in the joint and destruction of cartilage and bone. ACS enhances the patient's own anti inflammatory cell signals to turn off inflammation in the joint, relieving pain and halting damage to joint tissues. Cline Medical Centre combines ACS therapy with Anti-Inflammatory Lifestyle, Physiotherapy, Intravenous Curcumin and Ondamed treatments to maximize the body's ability to turn off inflammation, and to optimize joint comfort and function ongoing. German researcher and Orthopedic surgeon, Dr. Peter Wehling, MD, achieved breakthrough medical science in the 1980's when he discovered the role of an inflammation modifying factor in the bloodstream called interleukin-1 receptor antagonist "IRAP" . It is produced and released by monocytes, (a type of white blood cell). Dr. Wehling discovered that by removing two ounces of blood a patient's vein, separating the serum, and incubating it at body temperature in a specific controled environment, he was able to increased the amount of anti-inflammatory IRAP up to 140 times. It is this patient's own serum, conditioned and enriched, that is injected into the osteoathritic joint twice weekly for 5 total injections. Within a few hours, the chronic pain and stiffness associated with osteoarthritis improves remarkably, or disappears altogether. Dr. Wehling calls his treatment "Orthokine". Another form of this therapy is called "Regenokine" in the USA. Dr. Wehling recently published a book called The End of Pain (available through Amazon) which is an excellent review of this paradigm shifting therapy, and written in the language of the lay-person. In addition, here is a link to a four minute video about ACS.